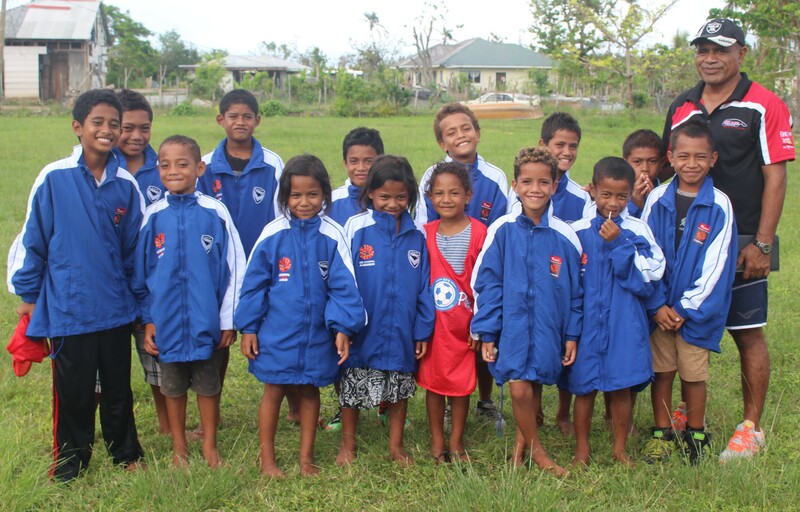 During the Just Play weekly program in Navutoka, Lui Muavesi presented jackets on behalf of Reagan Milstein Foundation to children that their houses were damaged during the Tropical Cyclone Gita hit Tonga in February 2018. TFA Just Play technical coordinator Lui Muavesi is in charge of the Eastern District in Navutoka and made the delivery on behalf of the foundation following the weekly Just Play session,. “The Reagan Milstein Foundation is so delighted to present these jackets to all Just Play children affected during the cyclone especially those whose houses were blown away, had the roof ripped off or were flooded,” Muavesi said. “The Lavengatonga community received 50 training shirts from the Reagan Milstein Foundation two weeks ago, and we had enough to donate to the rest of the communities,” he continued. After Muavesi disseminated the jackets, the atmosphere among the kids changed almost instantly. “I could not hold back my tears when I saw them try to put on their jackets. “There were a lot of children I believed they were really affected by the events of the cyclone and today I looked at them and they are enjoying themselves and laughing off the bad memories,” Muavesi added. “I may have this opportunity to extend my appreciation to the Reagan Milstein Foundation for their support, it’s really important especially to kids at a time like this,” he added. Two years ago Muavesi was appointed as the Reagan Milstein Foundation ambassador to all the Pacific Islands. 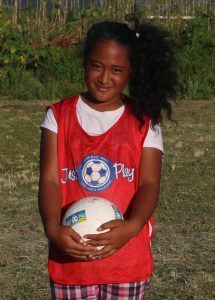 A number of football clubs in Tonga have received new uniforms and football equipment from the foundation in those years, with other Pacific islands also benefitting from its charity.